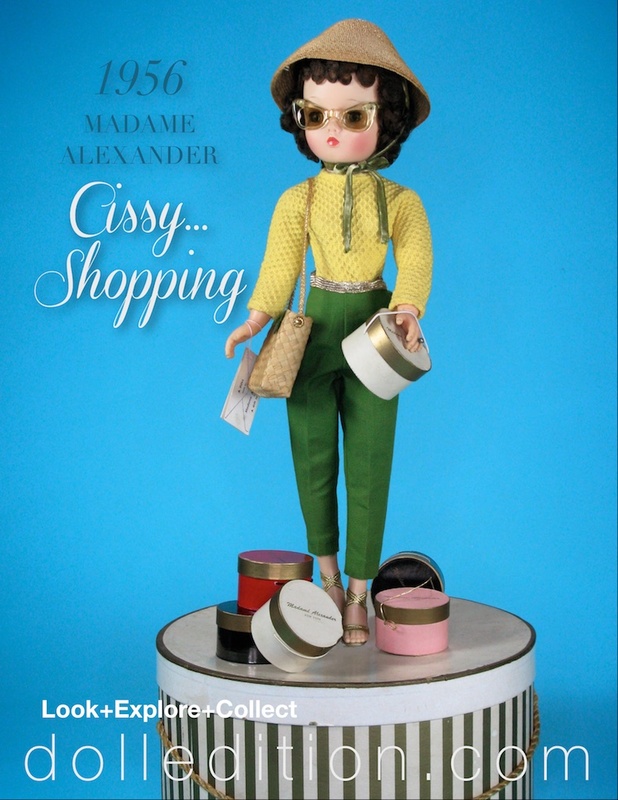 “Cissy Shopping,” 1956 came with a straw shoulder bag, sunglasses, a pagoda-style straw hat with a coordinating green velvet tie and a hat box. A wonderful melody of color and texture, “Cissy” wears a lemon yellow waffle weave cotton long sleeve top and olive green ribbed cotton pants with snaps on the (left) side. The colors were transferred from a trendy color combination coming from Scandinavian design that was becoming very popular. 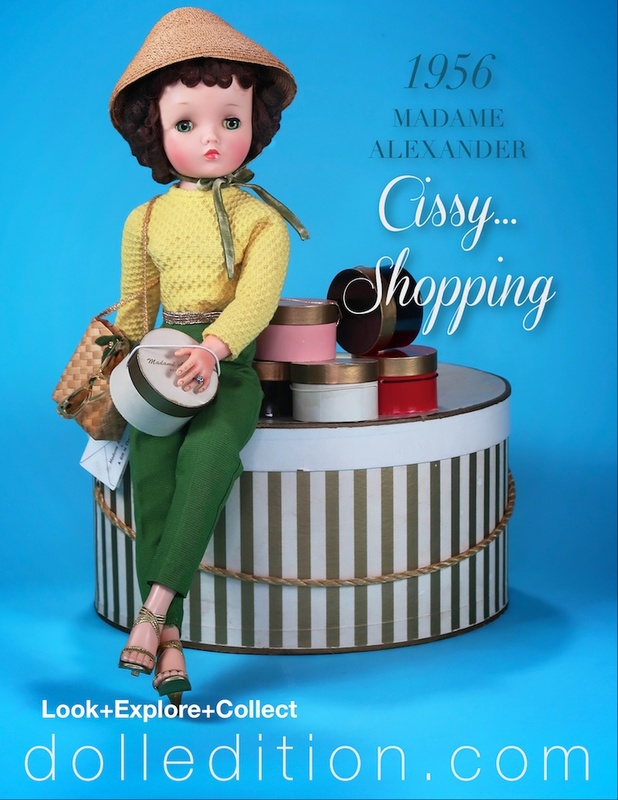 Coordination of accessories, as would become the new standard of accessorizing for fashion, ties “Cissy’s” ensemble together - straw shoulder bag, straw pagoda hat, gold stiletto heels, and the all-important cat-eyed sunglasses. Gold metallic strap stiletto high heels were a mid-century fashion trend. A fascination with all things that shine, sparkle and glitter, gold heels and flats were part of the fashion culture of the moment, coming first by way of Italy. The cat-eyed sunglasses were part of the fashion rage of the mid to late 1950s. Glasses frames went clear, to colors with decorative details and even borrowed from the classic men's tortoiseshell frames. Then there is “Cissy’s” hat - she’s wearing the very fashionable pagoda which came in any number of style and material variations. Natural straw imported from Switzerland, Italy and the far east lent an exotic seaside or folksy feel to summer clothing. The new synthetic straws allowed new pastel colors to coordinate with summer dresses and pants. A favorite of Parisian designers, the pagoda (or coolie) hat could be quite broad, or snug in its circumference. 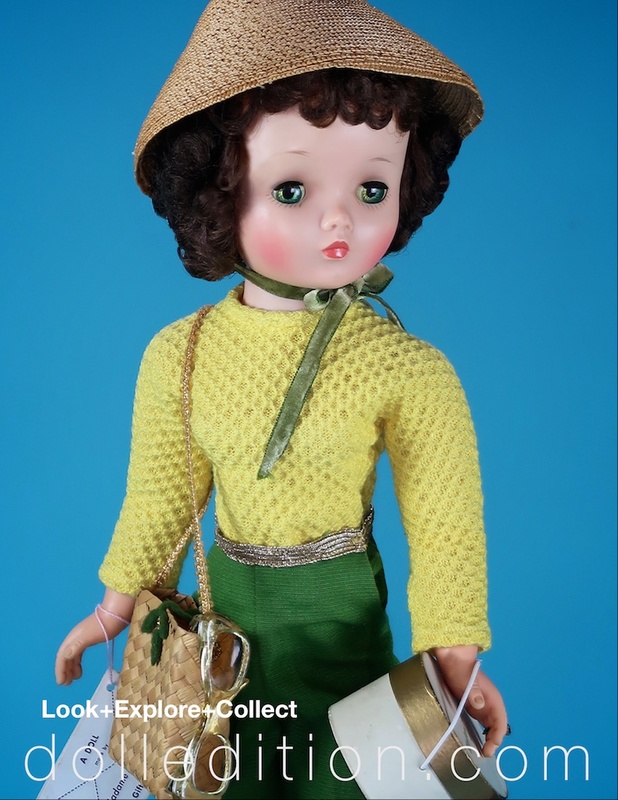 By now, handbags and purses were very much thought of as an integral accessory with which to complete the overall ‘look.’ Hats, gloves, shoes, belt, scarf, and bag were all expected to coordinate together. There was a new trend in straw bags for summer and for shoulder bags. They could be woven wood slats, raffia, straw, and even plastic. Some featured additional flowers, fruits, and leaves inspired by the popular tiki party theme. Left to Right: Cigarette pants with a tailored, slim silhouette. A cigarette pant with v-notch detail in the band. Costume design for Lucile Ball with cigarette pants and overskirt. A capris pant variation of the same model. A favorite of Dior and other Parisian designers, the pagoda style hat could be quite large, and of different materials with veiling, trim or feathers. 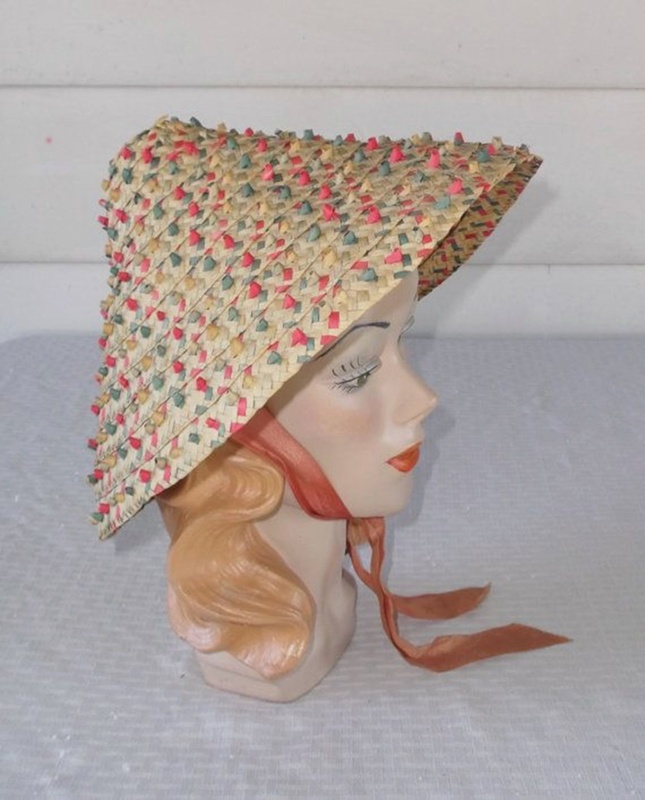 In straw in various weaves and fantasy applications, the pagoda style hat design was a natural favorite for casual or summer 1950s fashion. 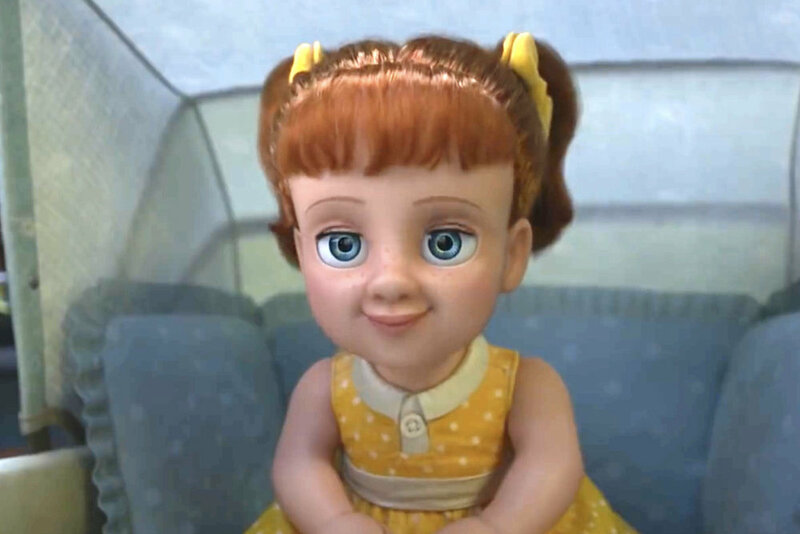 The film was originally scheduled for theatrical release on June 16, 2017, but was pushed back to June 15, 2018, while the 2017 release date was given to Cars 3. It was later delayed again to June 21, 2019, while its 2018 date was given to Incredibles 2, which was further along in production.